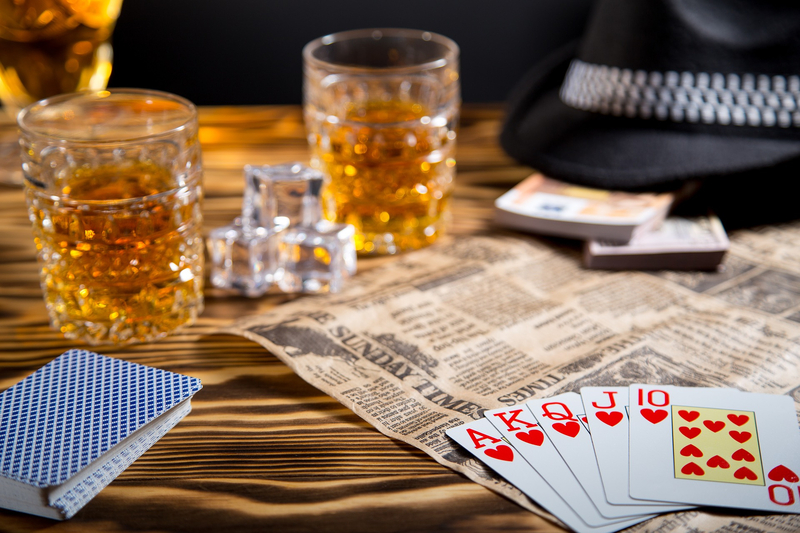 New Jersey, Roaring Twenties, Prohibition and Speakeasies… We are in the1920's and all the wealthy New Yorkers whom are missing parties, games and alcohol, are crawling at Danny’s, the most famous speakeasy of the moment. As the pioneers of the local smuggling, you, renowned gangsters get your headquarters there. Indeed, hidden in the basement of this Italian and romantic restaurant hall, there is a gambling room where New Yorkers and smugglers meet. For your gang, it is a place where they can not only enjoy extravagant parties, but also a place where they shoot up a lot! The only trouble is: you have been denounced and the police has just carried out a raid. Awaiting for some reinforcement, the police has locked you out, in one of the playrooms, meaning that if you cannot escape on time, you could be incarcerated for years and years. However, the policemen have let you alone while taking away Whisky and Rhum crates. Thus, you still have a chance to avoid jail if you escape in less than 60 minutes. Besides, if you succeed, you will have to completely change your life to flee from justice. Thereby, you should make sure that you have enough money before leaving the room. Fortunately, you are aware that Danny keeps a suitcase full of money somewhere in the premises… finding it would let you a chance not to finish your life behind bars! Finally, if you discover who betrayed you and your gang, you could even take your revenge and send this "snitch" to jail!